As part of a journey through Eastern Europe a member of the Anarchist Radio Berlin had the opportunity of talking to a comrade of Syrena. 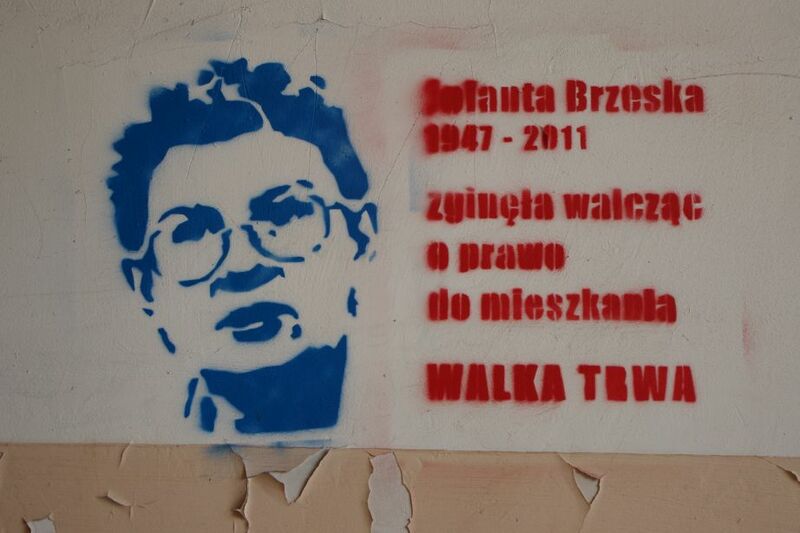 The main topics of this interview were the history of re-privatization through ruthless landlords and local autorithies in Warsaw like the case of the murder of the tenants activist Jolanta Brzeska in 2011 as well as the wild tenants struggles against these mechanisms and their cooperation with the anarchist movement regarding soaring rents and a small building of social housing in Warsaw. Additionally, our friend told us some interesting facts about the development of Warsaw’s city structure, especially its rebuilding in terms of communal housing under the Soviet regime. This is Part 4 (on anarchists and the tenants struggles in Warsaw).